Unfortunately, our lyrics often soar so high that someone who is drowning on the ocean floor of their personal despair can’t reach them.The modern reader must be careful to remember that these were not just poems to be read aloud—they were actual songs to be sung aloud, accompanied by instrumentation. This means that when God’s people came together to sing, they sang lyrics like, “How long, Lord? Will you forget me forever?” (Psalm 13:1) and “[God has] taken from me friend and neighbor—darkness is my closest friend” (Ps. 88:18). Does the predominantly uplifting demeanor of our songs somehow present something more akin to a veneer of happiness than a deeply anchored joy?Secondly, very few modern songwriters are writing songs of lament. This may be at least partially due to influence of the Christian music industry. Much of this industry is slanted towards writing and promoting songs that make the listener feel better about life, usually by focusing on the positives of life. KEITH GETTY (@GettyMusic) and his wife, Kristyn, are modern hymn writers who have created a catalogue of songs including “In Christ Alone” (written with Stuart Townend), teaching Christian doctrine and crossing the genres of traditional, classical, folk, and contemporary composition. Keith and Kristyn are the authors of Sing! How Worship Transforms Your Life, Family, and Church. The couple lives between Northern Ireland and Nashville with their four daughters. I completely agree! While contemporary church music is focused on praise of which God is worthy, it discounts the reality of life’s struggles, leaving many feeling disconnected or that something is wrong with them because they cannot relate to the positive feelings expressed. This is consistent with the trend in preaching that gives the impression that the Christian life is characterized only by prosperity and happiness. “Church” results in a superficial “feel good” experience leaving the soul empty. Jesus is worthy of praise but He also proclaimed that He came “to heal the brokenhearted” (Luke 4:18). Thank you. I love the Psalms for there real life record of many emotions. Not all of us are able to push right through difficulties and trials. Many of us would not dare speak of them unless we be thought of any less a faithful Christian. This is especially true among Pastors and other church leaders. We should not be ashamed or afraid of singing songs of lament but they must include hope. Just as Psalm 42 and 43 speak of”why are you donwcast O my soul”, a real expression of inner sadness but the Psalmist points to hope by writing”Hope in God”. Would you have any recommendations of contemporary songs of lament? Right on! I am thankful for the ministry of Keith & Kristyn Getty and for their music. However, I notice a disconnect between their music and the words Keith wrote above. Even the latest release, North Coast Sessions, is bereft of lament. As an album based on the Psalms, I expected more range. The penitential text of Psalm 130 is an excellent choice, made better by the mournful drone of the bagpipes at the beginning. I can only hope that this is the start of greater attention to lament in the Getty’s music. I agree fully. Any suggestions for lament songs? Or any suggestions to incorporate lament into our worship services other than reading a lament Pslam? Thanks. While I do agree with this article, in my own experience I needed the uplifting of the hymns I sang on Sunday morning to get me through the coming week. Reading the Psalms of Lament let me know that I was not alone, and that others had suffered more than I. Being diagnosed with severe depression, and then having my pastor husband leave me and our three children for a member of a previous church was devastating. The Psalms of Lament tended to drag me down to depths I could not endure. By the way, I attended the traditional service at my church, where we used a hymnal. Those deep, meaningful hymns were encouraging, and I was more likely to sing them through the week than quote scripture. 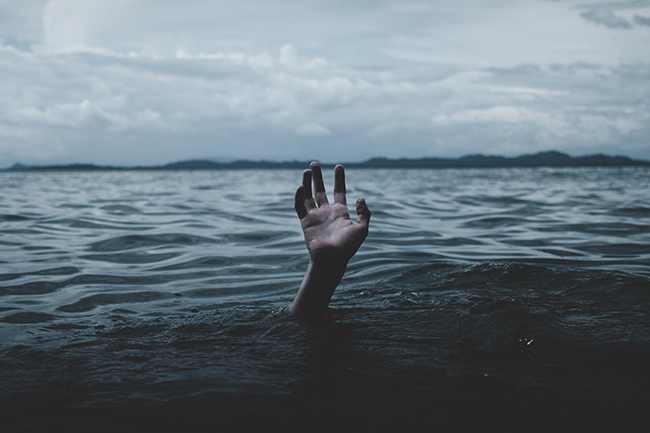 Yes, we need to “plumb the depths” of lament, but the hymns of joy and praise will be a lifeboat for those who are suffering in ways we cannot imagine. Lament Psalms end in praise and confidence after pouring out the despair. Old hymns and poems have stanzas, the last one usually rejoicing and anticipating after expressing the hard things.